Small town , can visit with the bike literally . Tourist town has several hotels , a few seafood restaurants . There are a couple of nightclubs and in one of them were discounts for students ... It's too hot , and from this reason the city is great. As for the extra work , it was very difficult to find because they are usually employed local people . Finding extra work was very possible, even some people were able to find a job and all 3, depending on the timetable and obligations on your core business. 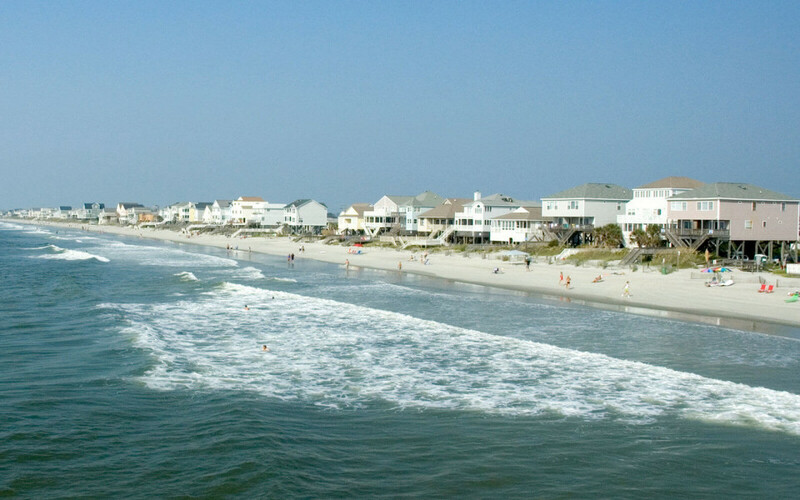 As for the climate in South Carolina and is more than fantastic, if you are looking for a place where you will enjoy doing while it's Surfside beach right place. In the summer, very hot temperature of 35 - 40 degrees. -Long sandy beaches are great, the ocean is very warm without the jellyfish and other beasts that can spoil your holiday, after all we're talking about the ocean and there is all possible :). In addition, the chances are that you'll find himself apartment with swimming pool right underneath your terrace because 95% of the buildings in this area have their own private swimming pools, so i'm going to the ocean eventually fall into oblivion :). As for the local population generally to all families that have come to rest, very nice people who come to their homes on the beach to enjoy. The right place for a holiday. If you want to get out in the evening, in addition to the city of Myrtle Beach where all the clubs, beach bars, shopping centers, simply place is full at that time, the distance of some 4-5 miles. It is possible to find another job , depending on how it is when ready to commit to it. Nightlife and locals are great. Surfside Beach is a small tourist town , who wants a job can find a desirable has sought from the outset percent after the deal to be completed all the interest . The city has about 5 000 inhabitants and a lot of shops, cafes, restaurants, car wash ..... Everything is accessible by bike it is a great advantage.